-Asheville’s first anarchist book fair is set for May 5-7. The firm was honored for two particular homes. The Watkins Residence was the winner of Best in American Living and Top Design Trend for “Modern Farmhouse.” This custom home received acclaim for its integration of modern and rustic elements and for its seamless design, featuring a natural landscape of surrounding farm land and Blue Ridge Mountains topography. The other Living Stone project that received national recognition has been affectionately named “the Rhodo Reno.” This near complete renovation of a 960-square foot midcenturyhome is located on Rhododendron Avenue in Black Mountain. The “Rhodo Reno” won the highly prestigious Best in Green award. It is one of the most energy efficient homes Living Stone has built to date, and is also a case study in “right sizing,” the practice of intentionally building to a standard of quality within a set square footage, rather than building a larger home. This home was already awarded Platinum certification from the NC Greenbuilt program, and has an impressively low HERS score of 30. Additionally, at the NAHB Awards, Sean Sullivan, president and accredited master builder of Living Stone, received the highly coveted Young Professional Award, for which he was finalist along with 14 other builders chosen from across the nation. He was also honored as the 2016 Certified Green Professional Designee of the Year. -The Appalachian Sustainable Agriculture Project’s 2017 CSA Fair is set for 3-6 p.m. on March 16 at Jubilee!, 46 Wall St. The event is free and open to the public. After 3 years of amazing success at the Masonic Lodge located in downtown Asheville, we have decided to move the event to the WNC Ag. Center to accommodate more food trucks and more of the community. This year there will be 17 food trucks participating in the Showdown. In addition to Showdown there will be live music, fun activities for the kids including a rock climbing wall and bounce houses, and the chance to support a number of local charities including Manna Food Bank, Brother Wolf Animal Rescue, Blue Ridge Honor Flight, the YMCA, and many others. The magic and variety show, “Magic, Mirth & Meaning,” is a family-friendly, hour-long production that features story tellers, singers, jugglers, and magicians. 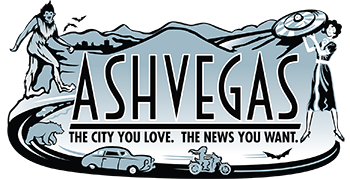 It takes place twice a month at The Vanishing Wheelchair Little Theatre at 175 Weaverville Highway, Suite K, in Asheville which is the venue for several magic and variety shows for the public and is available for private functions and parties. “Magic, Mirth & Meaning” appears the second and fourth Friday of each month at 7 p.m. with performances on February 24, March 10, March 24, and continuing through the year. The show is free, with donations accepted. Also, during the first Saturday of each month at 3 p.m., children can enjoy “Birthday Magic,” a forty-five minute children’s show catering to those celebrating their birthday that month. General admission is only $5 a person – proceeds benefit the non-profit. Performances will resume March 4, April 1, and continuing through the year. The show “Magic, Mirth & Meaning” features numerous talents of people with disabilities and those who wish to help them. At any given show, an audience may see singing, story telling, and of course magic. The show appeared and disappeared for several years since the non-profit’s founding on November 24, 2010. On February 20, 2013 the show began appearing in Asheville on a monthly basis, finding its stride at St. Mary’s Episcopal Church. The Vanishing Wheelchair has used the proceeds from the events it hosts to launch “All Things Possible” to teach skills in performing, painting, photography, music, crafts, writing, and wood working to people with disabilities. These workshops are available to other non-profits to share with their clientele and will be conducted at the 175 Weaverville Highway location. Eventually the non-profit wishes to expand to establish a universally accessible hands-on museum for children to explore the arts and sciences at which people with disabilities can work and continue to learn these skills. Come support and see what The Vanishing Wheelchair is all about at its new location. Tickets may be available at the door, but advanced reservations are strongly encouraged since seating is limited. Purchase tickets online at www.VanishingWheelchair.org, or contact Magic Central, 175 Weaverville Highway, Suite L, Asheville, North Carolina 28804, or call 828-645-2941. For more information contact T.J. Shimeld at tjshimeld@gmail.com, 1129 Allman Ridge Road, Morganton, North Carolina 28655. Call 828-391-6965.